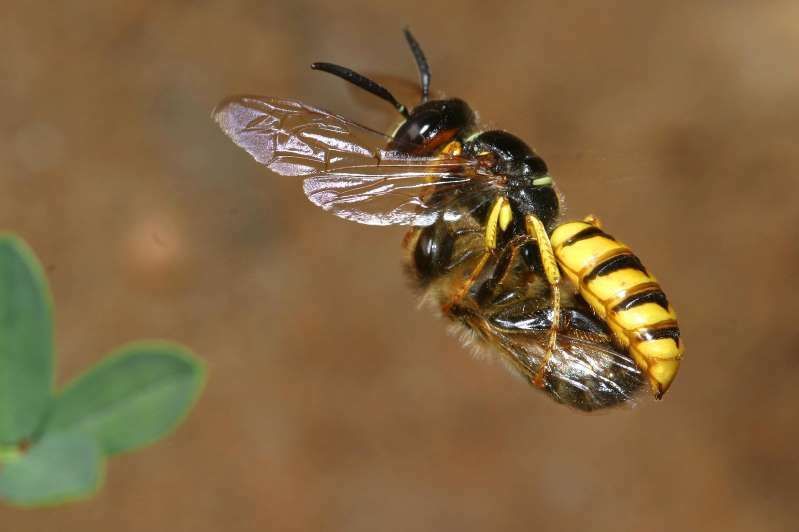 © Photograph by Gudrun Herzner A beewolf wasp carrying a paralyzed bee to its nest, where it will lay in egg in its victim. 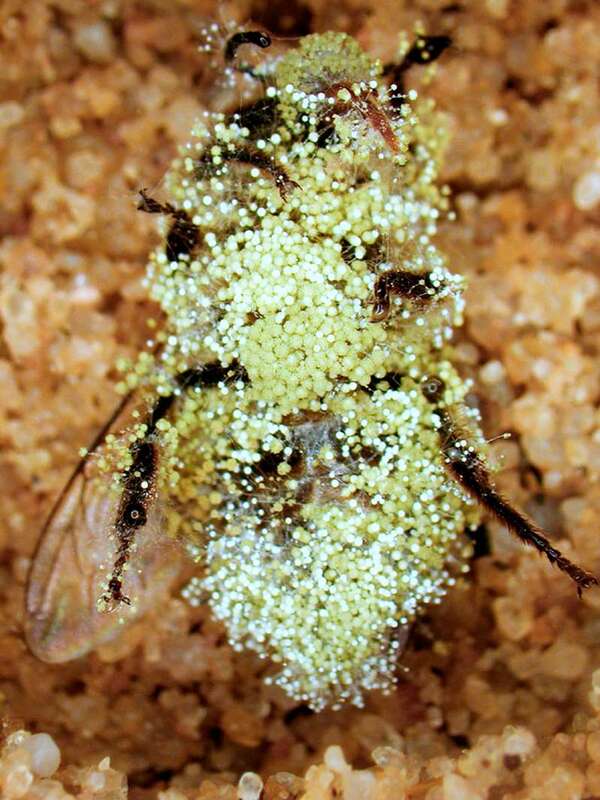 © Photograph by Erhard Strohm A paralyzed bee with a beewolf's attached egg. © Photograph by Gudrun Herzner Bees stashed in underground lairs can grow mold, as seens in this photo, although if a beewolf lays an egg in one, it can emit a noxious gas that kills fungi. “While opening the observation cage I noticed a strange smell [that] emanated from the egg,” Strohm says. Because the odor was reminiscent of a chlorinated swimming pool, Strohm suspected the cause was some sort of strong oxidant, which all smell similar. 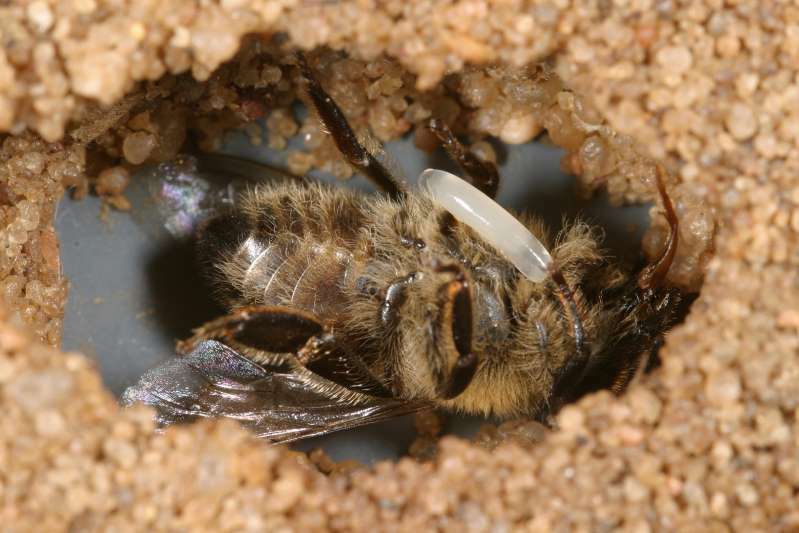 When the researchers incubated paralyzed bees in chambers with an egg that wasn’t even touchingthem, they still thwarted the mold, confirming what Strohm’s nose uncovered—the eggs’ weapon was airborne. But the fortification of the egg stage and use of nitrogen oxides (NO and NO₂) is an unusual, new take on a vapor-based security system—and it may have some key advantages. Some parasitic fungi can digest the very chemicals made to kill them, but nitric oxide synthesis is very difficult to overcome, says Vilcinskas. That may be especially true in this case, as the eggs spew out NO at a high rate, four orders of magnitude greater than background levels in human tissues, for example.